The cult hero is back! 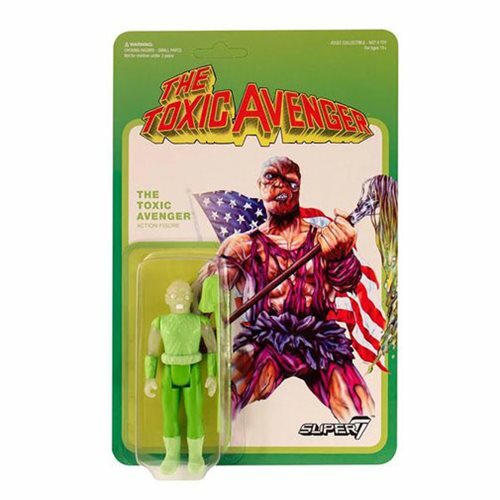 Troma's The Toxic Avenger has returned to the world of toys with the Toxic Avenger Glow in the Dark ReAction Figure. This green 3 3/4-inch action figure includes an action mop, ready to clean up evil - and shine brightly through the night! Ages 4 and up.